“Job-killing carbon tax” is one of the Harper government’s favourite tag lines, but if carbon taxes are job killers, then Canada’s oil industry seems to have a death wish. Over the past year, a growing number of oilsands operators have come out in favour of a carbon tax, with Imperial Oil Ltd., for example, declaring last spring it preferred a carbon tax to other options. 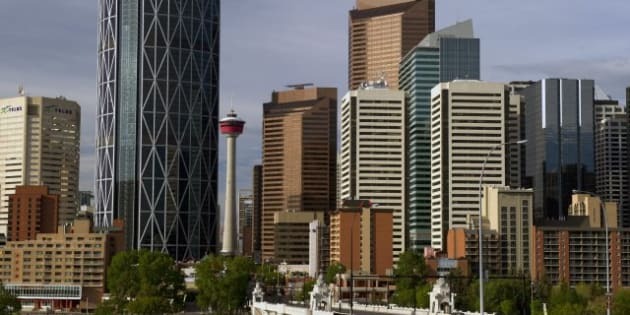 Now, a Bloomberg News report throws this trend into sharp relief, reporting that three major bitumen extractors — Calgary-based Cenovus Energy, and the Canadian divisions of ExxonMobil and Total SA — are throwing their weight behind the policy. So why is one of the world’s most carbon-intensive industries getting behind a tax on carbon? Because, it turns out, they think it’s good business. Bloomberg reports the companies favour a carbon tax because they’re concerned that global attitudes on carbon have shifted to the extent that the oilsands’ reputation as “dirty oil” could cause producers to lose access to foreign markets. The political battle over the Keystone XL pipeline has highlighted to many in the industry the risks of selling a product that has a large, motivated political base opposed to it. And the carbon tax is seen as more desirable than a cap-and-trade scheme because cap-and-trade is less predictable and therefore harder to plan for. Cap-and-trade sets up an open market for carbon permits, which can then go up and down in value. For companies, this means an unpredictable element in their cost of doing business. A carbon tax, by comparison, will be consistent over time and can be calculated easily into the cost of doing business. Veteran oilsands exec Neil Camarta, who’s worked for companies like Shell, Suncor and Syncrude, told The Tyee last year that there has been an unprecedented shift in thinking within the corporate culture on climate, from something that was the concern of environmental activists to a mainstream issue "talked about in every boardroom in Calgary." And while the Harper government insists that the carbon tax is a bad idea because it would tax everybody and everything, Camarta says that’s exactly what’s good about the carbon tax, as opposed to other schemes such as cap-and-trade — it’s predictable and fair. "If Canada really wants to reduce CO2, there has to be a carbon tax across the whole economy," he said. Talk about a carbon tax increased last fall, after President Barack Obama’s re-election speech touched on environmental issues in a way the president’s speeches hadn’t prior to the vote. ExxonMobil at that time reiterated its support for a carbon tax. “Combined with further advances in energy efficiency and new technologies spurred by market innovation, a well-designed carbon tax could play a significant role in addressing the challenge of rising emissions,” company spokeswoman Kimberly Brasington said, as quoted at Bloomberg. With the U.S. potentially headed towards some sort of new carbon policy, eyes are turning to the Harper government to see how it will adapt. It’s a prerogative for Ottawa to have environmental policies aligned with Washington, but with the Harper government having rejected both principal ideas for addressing carbon emissions (it never liked the carbon tax and has backed away from cap-and-trade since winning a majority government), it’s hard to see what a future Conservative government carbon policy would like. So far, the Harper government has said little on what it would do if the U.S. were to pursue a carbon tax, or any other carbon-restricting policies. The carbon tax has long been a “conservative” alternative to the more “liberal” idea of a cap and trade scheme. But in Canada, it lost some of its appeal to policymakers after it was adopted by then-Liberal leader Stephane Dion, who went down to defeat in the 2008 election.